Service Desk offers multiple levels of user roles and permissions. Each of these user roles is given their own credentials (username/password) so that they can log in to the web app. The access level that each user role has when they log in depends on their settings and permissions (i.e., module access and company access). You can choose how much of the Service Desk account each agent can access by customizing various access and role permissions. Module access determines which of the GoToAssist modules an administrator or agent can access when they log in to the web app. Administrators and users can be provisioned with a agent seat in order to be granted access to the Remote Support and/or Service Desk modules. Note: Administrators and users must be given module access in order to use the Remote Support and/or Service Desk modules. Admins and users who are not given a module access will not be able to access any portion the module when they log in. Service access determines (a) which services a user has permission to view and use, and (b) what level of access they have to each of those services. Users can be made into service administrators for any service, which will allow them certain service-specific privileges beyond that of a user role for that service only (without making them an account administrator). General access – This determines the account permissions a user has, and how much access they have to Service Desk. When a user is granted account admin access, all access menu items will appear in the Service Desk and Configure drop-down menus. Note: The user's general access settings will override their service access settings. Account administrators are not automatically granted additional module access. Config management – This determines the user's ability to use and/or modify the configuration management features, which are the components of your organization's infrastructure. When a user is granted config user or config admin access, an additional Config Management option will appear in the Service Desk drop-down menu for these users. Note: All users are able to link Service Desk records to configuration items, regardless of their configuration management access. Service Desk time – This determines the user's ability to use and/or modify the time management features, which are responsible for logging and reporting time spent on a service record. When a user is granted time user or time admin access, an additional Time option will appear in the Service Desk drop-down menu for these users. Go to Configure > Users. On the New User page, enter the information for each of the tabs (i.e., General, Subscriptions, Services, Roles). Name & Contact Info – Enter the user's details (e.g., name, email address). Time zone – Select the time zone in which the user resides. 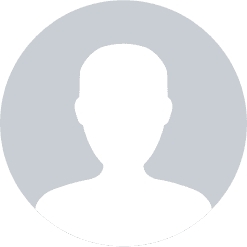 Avatar – Upload a photo, icon or logo to represent this user. This avatar will appear within Service Desk records affiliated with this user. Note: You can upload any image size, but for the best quality it should be a .GIF, .JPG or .PNG file at least 61 x 61 pixels. It will be scaled down automatically. Additional Details – Click to add additional contact information about the user (e.g., other email addresses, phone, job title). Company – Select a company for the user. Each user can be assigned up to 1 company (or no company at all). Email Format – Choose from HTML or Plain Text formatting for emails sent to the user by Service Desk. First screen after logging in – Choose the Home page (e.g., the Global View, Recent Activity) the user will see upon logging into their account. Restricted customer and company access to services – Check this box if you want the user to only access those customers and companies that are in their services. Module Access – Select the user's module access as described above. Select Named Seat or No Access for each module. Access to Services – Specify the user's service access as described above. Search Services – Use the search box to populate services by name. Change Approver – These users have permission to approve or decline change plans. Release Approver – These users have permission to approve or decline release plans. Service Administrator – Service administrators can also create and manage Service Desk records for the marked services only, as well as override incident due dates, mark incidents as "common" and "interesting," delete Service Desk records and schedule/run mass actions for the service. Note: Service administrators are not automatically granted account admin access. General Access – Specify the user's general access permissions as described above. No access – These users only have the ability to view and link service records to configuration items. They are not able to configure Service Desk Settings. Standard access – These users have the ability to view and edit all service records and messages within the services they have been given access to, however, they will not be able to configure Service Desk Settings unless they are granted service administrator access. Account admin access – An account administrator has full access to every aspect of Service Desk and all services on the account. This means they can manage services, people and the Customer Portal, as well as make settings changes on an account-wide basis. Every account must have at least 1 Account Administrator. They are also able to configure Service Desk Settings even if they are not a service administrator. Config Management – Specify the user's configuration management permissions as described above. No Access – These users only have the ability to view and link service records to configuration items. Config user – These users are allowed to browse, add, update and delete configuration items and their relationships. Config administrator – Config administrators have all the rights of a configuration management user, but also have the ability to manage configuration categories, attributes and relationship types. Service Desk Time – Specify the user's time permissions as described above. No Access – These users have no visibility or access to Time. Time user – These users are allowed to log time spent working on records for services to which can access. They can also access and use the Service Desk Timesheet and can run simple reports on their logged time from the My Time Report page. Time admin – Time administrators have all the rights of a Time user, but also has the ability to report on all users and all services (regardless of those to which they can access). 1. Go to Configure > Users > [select user]. 2. On the User Account Details page, make the desired changes. Note: Once a user has been created, only they can personally edit their name, email address and timezone. To do so, they can log in and go to Configure > My Account. Account admins can delete users or admins by going to Configure > Users > [select user] > Delete user. Configure > Users > [select user] > Subscriptions tab. Select "No access" for all modules. Go to Configure > Users > Inactive Users > [select user] > Subscriptions tab. Select "Named seat" under the Service Desk module.